U-shaped opening with two-way pull double zippers. 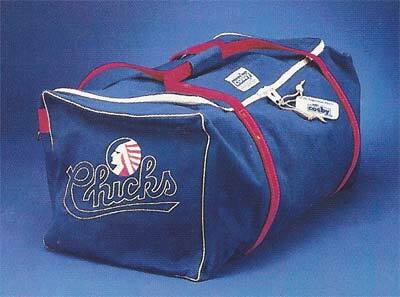 Does not have the polyethylene ends or the reinforced corners of our Major League bag. All other exacting Cosby specifications are met in making this durable economy model bag.